WHAT ARE “JOY” PERSONALIZED STAMPS? 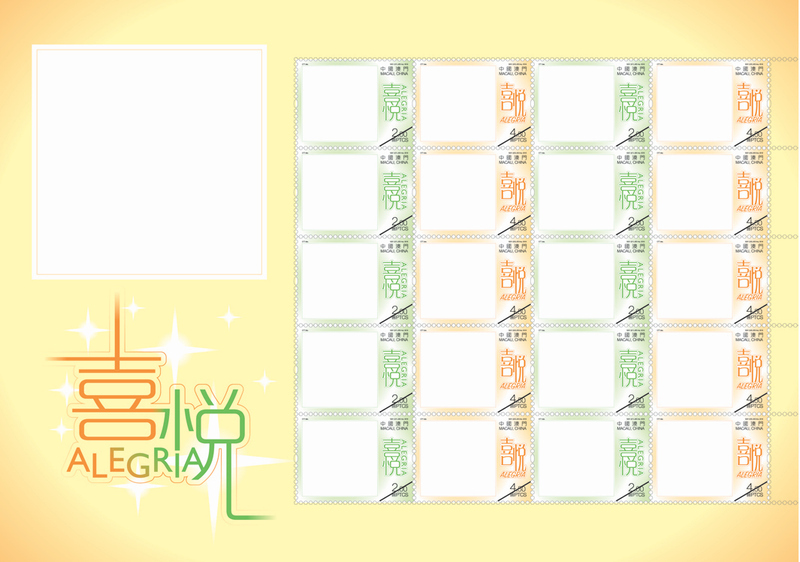 A sheetlet with 21 spaces where Macao Post and Telecommunications Bureau can create your own 20 pieces of personalized stamps, plus 1 banner, by printing your images: photos, logos or messages. Refer to Terms and Conditions. The photos or CD-ROM, will be returned together with the produced stamps. Read the Terms and Conditions. Complete and sign the Order Form and Image Position, enclose the material with payment information and return by mail, or submit and pay at the Philatelic Shop at General Post Office, located at Largo do Senado. The order will be adjusted according to the payment received and no refund will be given for the surplus payment.